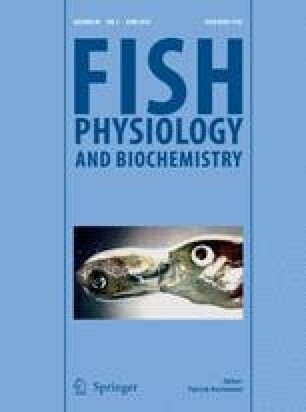 The occurrence of a second osteocalcin (OC2) has been reported in teleost fish, where it coexists with OC1 in some species. While it has been proposed that OC2 gene originated from OC1 through the fish whole-genome duplication event, little information is available on its molecular function and physiological role. The present study brings biological data supporting the presence of OC2 in the mineral phase of teleost fish bone and its association with the mineral phase together with OC1. The occurrence of OC2 forms with different levels of phosphorylation or γ-carboxylation, and with amino acid substitutions was observed. Comparative analysis of mature peptide sequences revealed the high conservation existing between OC1 and OC2, in particular within the core γ-carboxyglutamic acid domain, and suggests that both protein forms may have the same function, i.e., binding of calcium ions or hydroxyapatite crystals. The online version of this article (doi: 10.1007/s10695-013-9880-9) contains supplementary material, which is available to authorized users. This work was supported by Grants POCTI/MAR/57921/2004 and PTDC/MAR/105152/2008 from the Portuguese Science and Technology Foundation (including funds from FEDER and OE) and by CCMAR funding. The authors are grateful to Dr. P. Gavaia for Senegalese sole OC2 partial cDNA sequence. S. Cavaco, J. Rosa and V. Roberto were the recipients of PhD fellowships SFRH/BD/60867/2009, SFRH/BD/47433/2008 and SFRH/BD/38607/2007, respectively, from the Portuguese Science and Technology Foundation.